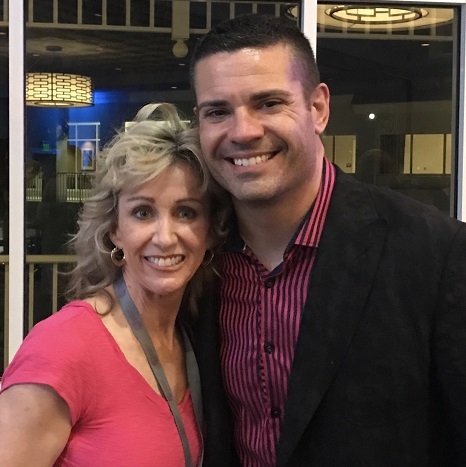 I recently attended Ray Higdon’s Prospecting and Recruiting Summit where I learned so many golden nuggets like how to successfully implement what you learn at an event for post event success. Most people stay stuck after an event because they fail to implement what they have learned. People have good intentions for personal growth and invest their time and money in attending these events because they want more success. The problem is that after attending the event most people continue to see themselves as the same person they were before they attended the event. Do you see yourself as unsuccessful and lacking the team, the skills or the resources to become successful? If so, this is what you will continue to get. To be successful you have to see yourself differently. The key to capitalizing on everything you learn from an event is to see yourself as the capable leader you are trying to become. Visualize yourself as the person of leadership and impact TODAY that you are striving to become. What are the daily habits you would have as a top successful person? What are the books you would read? Who are the people of influence you would hang out with? One thing I learned from college was the importance of going over my notes from class within 24 hours after a lecture. Reviewing your notes within 24 hours helps to put those things that are in your short term memory into your long-term memory. I also record many of the speakers from an event and I also try to listen to the most important speakers again within 24 hours. I have found this to be extremely helpful in remembering the key points of a speaker. Another tip is as I’m listening to a speaking I place a star or an “I” for implement for those key things that I want to implement into my business and my personal growth. Attending events are a critical part of growing yourself and growing your business. It’s not only what you learn from the stage but it’s the other leaders you meet at the event. Remember that you are the average of the top five people you spend the most time with. You income is also the average of the top five people you spend the most time with. Attending industry events that attract industry leaders provides you the opportunity to get around people you would otherwise not have the opportunity to meet. If you enjoyed this post, Post Event Success – Takeaway From Ray Higdon’s Prospecting & Recruiting Summit, share and/or comment below!